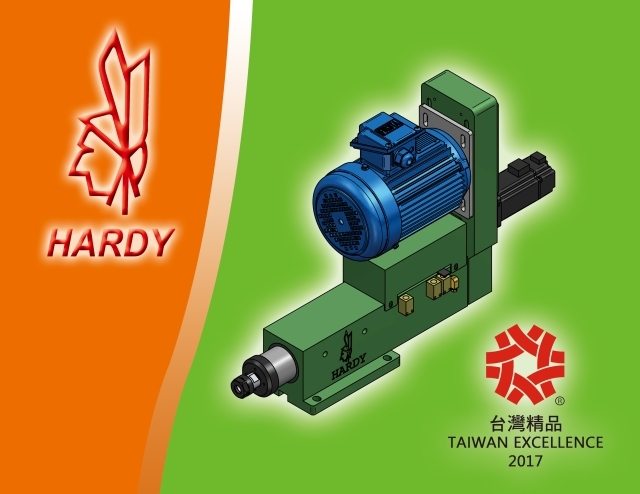 Sep 30, 2017 | By CENS | HANN KUEN MACHINERY & HARDWARE CO., LTD. Founded in 1985 in Taichung, central Taiwan, Hann Kuen Machinery & Hardware Co., Ltd. specializes in making drilling spindle heads, tapping spindle heads, boring/milling spindle heads, and slide tables for precision machines. The firm's spindle heads come in a wide range of specifications, with a maximum drilling/boring capacity in steel of 50mm and a maximum spindle traverse of 150mm. Its' slide tables come in servo-driven, hydraulic-driven, and manual-driven types. The servo-driven tables and hydraulic-driven tables are equipped with sliding ways processed with high-frequency induction hardening treatment, making them highly resistant to wearing out. Wear-resistant sheets minimize friction on servo-driven tables, thereby strengthening their durability. The tables use die-cast parts made of FC30 steel, ensuring the low deformation, high precision, and reliability that result from stress-relieving treatment. Spindle bearings from Japan and Germany assure long life and a cutting error within plus or minus 0.002mm. The spindles can do tapping, drilling, and milling, all with a servo motor. All of the company's products can be built to order. Also, Hann Kuen represents many well-known brands in both the local and overseas markets. These outstanding brands include Stanny (boring systems), Chandox (chucks), Skoda (live centers), Narex (milling angle heads), and Blakd (centering indicators). Hann Kuen ships most of its exports to Europe, America, South Korea, Japan, Latin America, mainland China, the Middle East, and Southeast Asia. It has set up branches in Xiamen and Wuxi to offer efficient services to customers in mainland China.